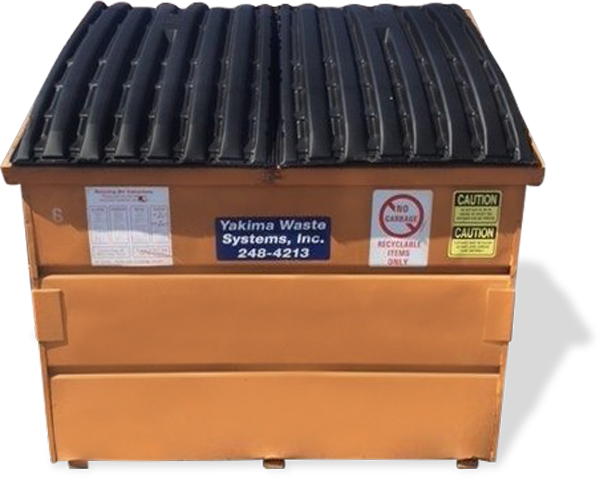 Yakima Waste Systems understands commercial customers need quality, convenient and affordable services for waste removal. We provide a wide variety of options for our commercial customers to help keep their businesses and projects operating smoothly and efficiently. We partner with commercial customers providing garbage, recycling and roll-off options with payment plans to suit business needs. To request commercial service call 509-248-4213 or email us. 1.5 Yard 9-11 bags 61" 32" 42"
3 Yard 18-24 bags 58" 31.5" 48"
4 Yard 24-32 bags 72" 54" 48"
6 Yard 36-48 bags 72" 66" 60"
Yakima Waste System commercial customers will enjoy professional, comprehensive services and convenient billing options. Commercial customers are billed monthly at the end of the month, with payment due by the 10th of the next month. We have a variety of convenient payment options for our commercial customers. Payment options include check or credit card. 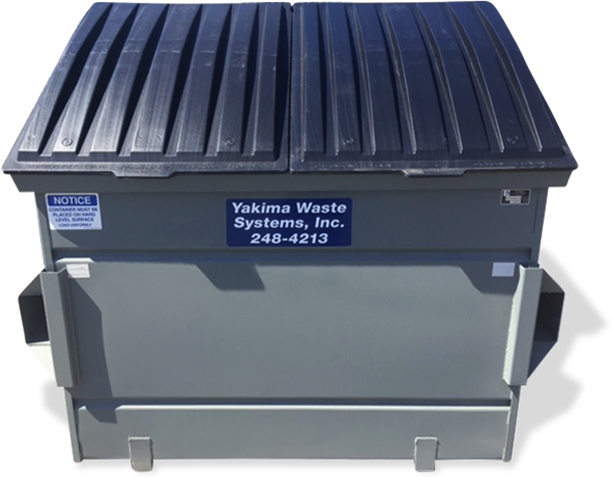 If you would prefer Yakima Waste System's convenient and secure Online Bill Pay payment option, simply click on the Bill Pay button. American Express, MasterCard and Visa are accepted.